Our Chemical & Beverage total program approach sets new benchmarks for the industry. 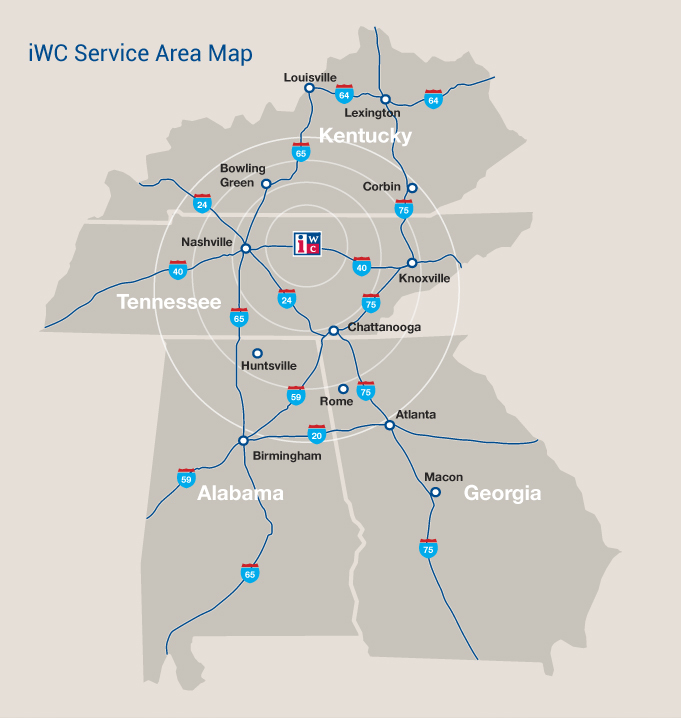 The iWC team covers ground from Tennessee to Kentucky, Alabama and Georgia, supplying the finest food service products to our valued customers throughout these states. From fresh produce, bakery goods and frozen dairy to dry staples, disposables and beverage services, we have everything you need to complete your menu.